Take this necklace from day to evening anytime! 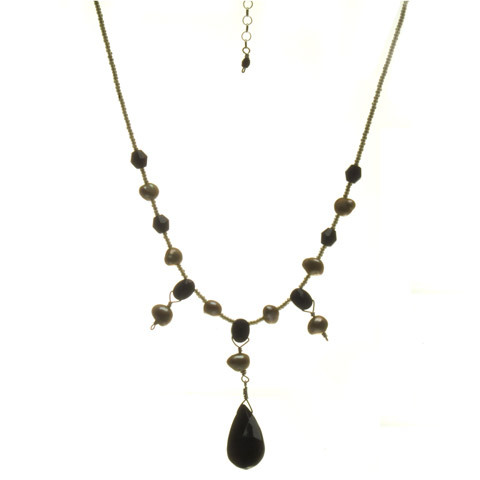 These gorgeous and delicate pearls and onyx beads have a hint of shimmer which capture the light gently as they delicately drape the neckline. The pale green pearls add a bit of color and contrast to the onyx beads.